The benefits of recycling beverage containers are many. It saves energy, reduces greenhouse gas emissions, and conserves natural resources! Get 5¢ when you recycle beverage containers 24 ounces or less and 10¢ for each container greater. To find a recycling center in your area, visit CalRecycle's Recycling Centers page. For additional recyclers, visit our Smart Business Recycling website. 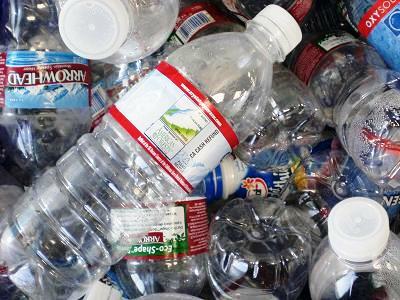 Los Angeles County Departments can request receptacles for beverage recycling containers at the Department Bins page. Avoid placing cardboard bins near water sources, damaged vents, heat sources, fuel sources, and electrical outlets. Replace cardboard bins when damaged by liquid or pests. In California, about 21 billion California Refund Value (CRV) eligible containers were sold in 2013. Of those, more than 18 billion were recycled. And the 3 billion that ended up in landfills or littered? You could use them to fill every lane of a more than 700-mile length of Interstate 5...almost a foot deep. CRV refunds are available to anyone--consumers, companies, or nonprofits--who returns bottles and cans to a recycling center. For every 10 pounds of aluminum you recycle, you eliminate 37 pounds of carbon emissions from the air. For every 10 pounds of clear plastic water or soda bottles, 3.3 pounds of carbon emissions disappear. Although glass bottles are a lot heavier, each 10 pounds recycled still reduces carbon by nearly a pound. In a landfill, aluminum cans take 80-100 years to break down. Plastic bottles hang around as long as 700 years. Glass bottles spend 1 million years waiting around to decompose.